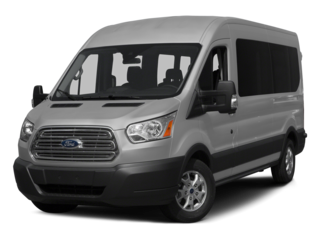 This 15 passenger Transit high roof Van HD, is extended version which includes some cargo space behind the rearmost seat. 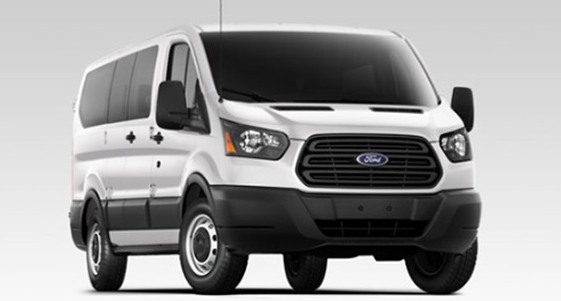 The brand new Ford Transit Wagon HighRoof 350 HD can be customized to suit almost any job that needs a commercial vehicle to carry passengers and luggage. 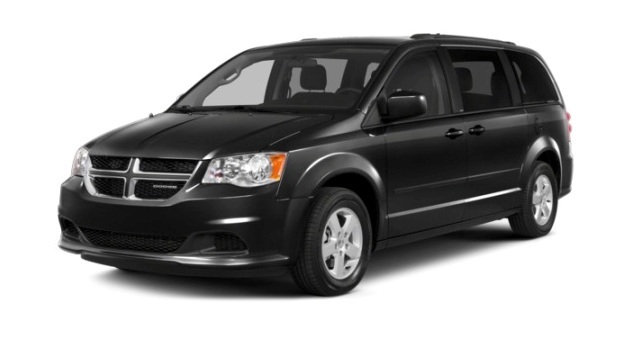 High-roof models can accommodate a standing adult up to 6 feet, 4 inches tall. 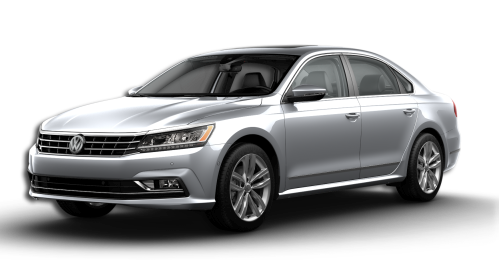 Two days rentals or less will be at a higher daily rate and subject to limited availability and cannot be confirmed more than 7 days in advance. 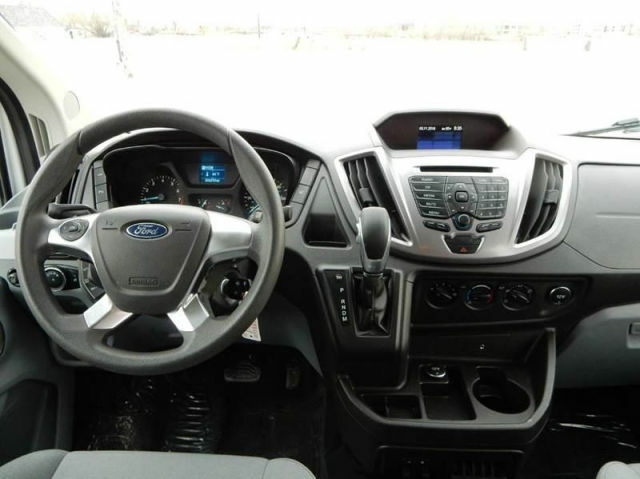 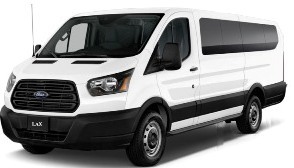 The High Roof Transit van rental cost include 150 free miles per day (additional mileage rate is $0.35 per mile) within California, Nevada, Arizona & Utah. 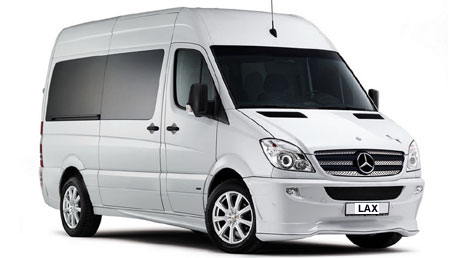 For Christmas and new year the minimum rental is three days or more. 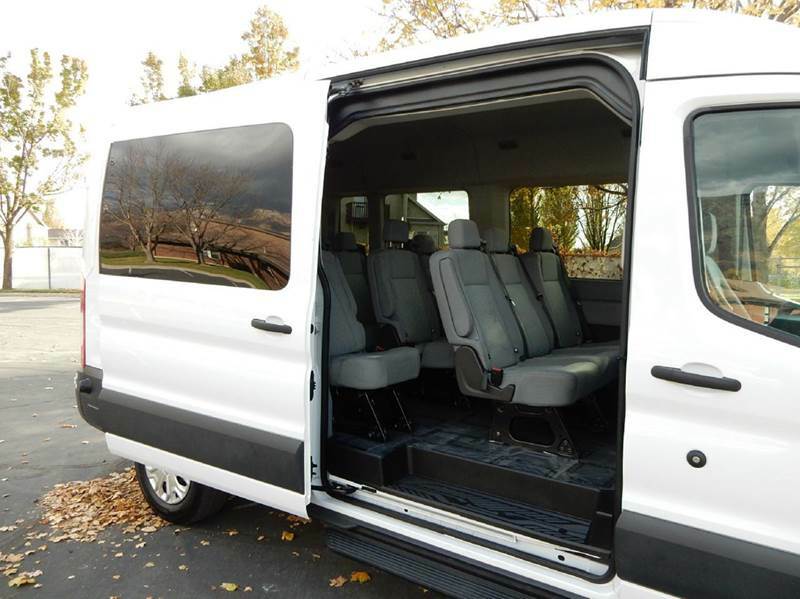 You can use your regular driver license (C class) to drive this 15 passenger high top van. 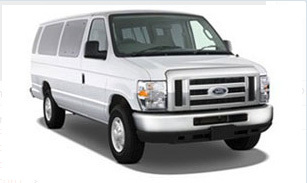 All authorized drivers must be 25 years or older. 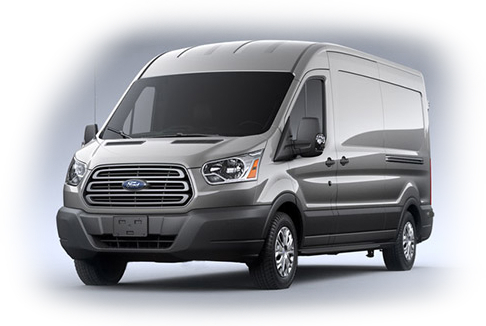 The driver should have experience driving larger vehicle and follow the safety rules. 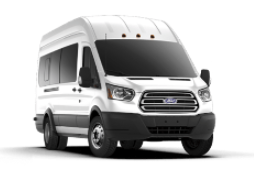 Safety: Every Transit Wagon comes with stability control, frontal airbags, front side-impact airbags and antilock brakes as standard. 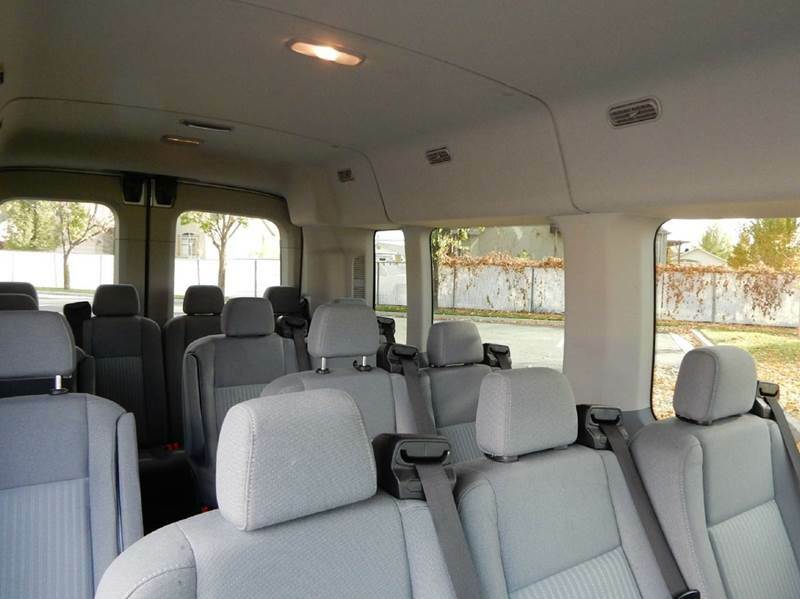 Rear seats have integral three-point seatbelts, and side curtain airbags cover the entire length of the passenger area.